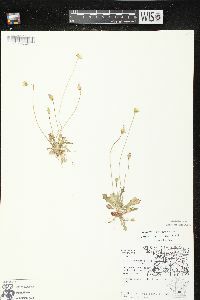 Annuals, 4-30 cm. taprooted. Stems 1-50+, initially scapiform, later elongate and leafy (after rosette leaves wither), erect, eglandular or stipitate-glandular, especially near heads. Leaves initially produced basally (rosettes); later leaves cauline. sessile or petiolate; blades oblanceolate to spatulate, 1.5-18 cm, usually irregularly pinnately lobed, terminal lobes often denticulate, faces glabrous, eglandular or loosely glandular-villous; cauline (appearing opposite on late-season stems), narrowly oblanceolate to linear, mostly entire. Heads borne singly. 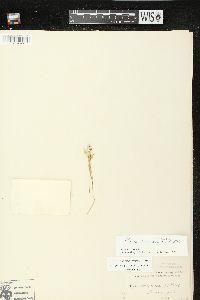 Peduncles from rosettes (early) or axillary or terminal on stems (later). Involucres 4.5-8 mm. Phyllaries 9-15, reflexed in fruit. lanceolate, midveins obscure, apices acute. 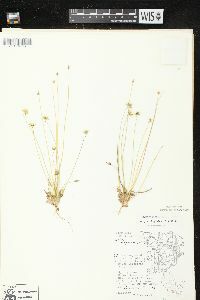 Florets 8-35; corollas yellow, often purplish abaxially, 5-12 mm. Cypselae dark reddish brown, narrowly obconic, 1.5-2.3 mm, 15-20-ribbed; pappi of 5, hyaline, rounded outer scales 0.5-1 mm plus 5, scabrous inner bristles 4-6 mm. 2n = 10, 20. Flowering Feb-Nov. Sandy, silty, or loam soils, rock outcrops, open mixed mesophytic, northern hardwoods, beach-maple, oak-pine, and oak-hickory woods, pastures, prairies, and roadsides, often in disturbed, weedy sites; 0-1200 m; B.C. ; Ala., Ark., Conn., Del., Fla., Ga., Ill., Ind., Iowa, Ky., La., Maine, Md., Mass., Mich., Minn., Miss., Mo., N.H., N.J., N.Y., N.C., Ohio, Okla., Pa., R.I., S.C., Tenn., Tex., Vt., Va., W.Va., Wis. Krigia virginica is introduced in British Columbia. 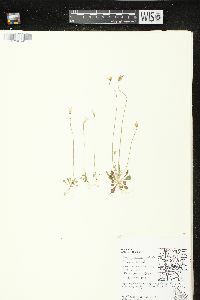 It grows in the Eastern deciduous forest biome, tallgrass prairie, and southeastern Coastal Plain. Its weedy habit may lead to introductions outside the present range. 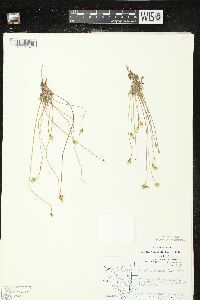 The tetraploid populations of Krigia virginica are believed to have arisen through autoploidy; they are morphologically indistinguishable from the diploids. A single origin for this autoploid event is suggested by the chloroplast DNA studies by K. J. Kim et al. (1992b, 1992c), with marked genetic divergence of the tetraploids having occurred since their origination. 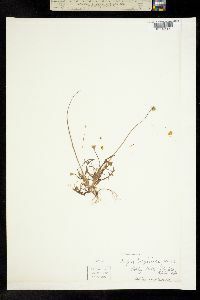 Plants collected late in the season have a branching habit remarkably unlike the scapiform vernal form. This species grows only in dry, sandy soil and is generally found on open wooded dunes, ridges, sand hills and in sandy, fallow fields. It is infrequent to frequent in its habitat. Slender annual 3-40 dm, scapose or leafy only near the base, the several scapes or scapiform peduncles generally spreading-glandular-hairy above, sometimes throughout; lvs linear to oblanceolate or obovate, 1.5-12 cm נ1-12 mm, entire to pinnatifid, loosely villous- hirsute to glabrous, the hairs sometimes glandular; invol 4-7 mm, its (5-)9-18 bracts lanceolate or narrower, reflexed in age, not keeled or ribbed; pappus of 5 short, thin scales alternating with as many scabrous bristles several times as long; 2n=10, 20. Sandy places; Me. and Vt. to Wis., s. to Fla. and Tex. Mar.-July.